Dr. Bhatia is not only trained to treat diseases of the skin, but also those that effect the hair and nails such as alopecia (hair loss), paronychia (finger nail infection), and onychomycosis (toe nail fungus). These diseases affect millions of people, causing a variety of uncomfortable or embarrassing symptoms. Dr. Bhatia helps patients in the San Diego, CA, area determine the cause of these diseases so he can provide effective treatments to quickly relieve symptoms. Just as there are many causes, there are many treatments for hair loss. There are medicines applied to the scalp, laser treatments, hair transplants, scalp reductions, scalp expansion, and scalp flaps. What kinds of treatments does Dr. Bhatia offer for nail fungus? There are a variety of treatments for nail fungus including: oral antifungal drugs, medicated nail polish or nail cream, nail removal, and laser treatments. Can having a manicure or pedicure cause me to develop a nail fungal infection? Yes. If you get a manicure or pedicure at a nail salon, be sure to ask how and how often the staff disinfects their tools. Tools, such as emery boards and nail clippers, can spread fungal infections from person to person if they are not sanitized. As a courtesy to our patients, we will bill your insurance company on your behalf for all covered medical procedures. Please review your specific insurance plan for co-pay, deductible and other benefit information prior to your office visit. If you have questions about our payment requirements or changes to the insurance plans we accept, please call our office. All patients will be responsible for determining their eligibility status prior to their office visit or upon any changes to their insurance plan. If you are not sure Therapeutics is in your network, please call the number on the back of your insurance card. "I absolutely love Dr. Bhatia. I originally came for an extreme case of eczema. Not only did he solve this but him and his nurse are always incredibly sweet." "I've been going to Therapeutics for quite a few years, and they are like a family to me now. The staff is always courteous and caring. " "I've been going to Therapeutics for six years and have nothing but great things to say. I have psoriasis and as a leading research clinic they have been very helpful"
Amazing doctor, friendly staff and very cooperative. I have been Dr. Bhatia's patient for more that two years now. Highly recommend! 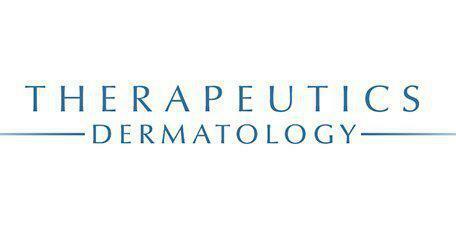 Absolutely superb service at Therapeutics Clinical Research! Dr. Neal Bhatia is one of the most caring physicians I have ever received care from. Dr. Bhatia is passionate about his work and is dedicated to remaining educated and staying at the forefront of his field. Both the PA and doc were very cordial, professional, knowledgeable and capable. They are also big on patient education, which I appreciated. Dr. Bhatia was very knowledgeable and pleasant to talk to. His staff is very professional as well and answered all of my questions. Very friendly and easy going doctor! He was knowledgeable and explained my skin condition very well! Dr Bahtia is very knowledgeable, patient, respectful, informative and easy going. He gave me lots of new suggestions for protecting myself from the sun! Dr. Bhatia is funny and knowledgable. His staff was kind. He was able to answer all of my questions and gave me lots of stuff and advice.